← I missed the Auction! How could I? 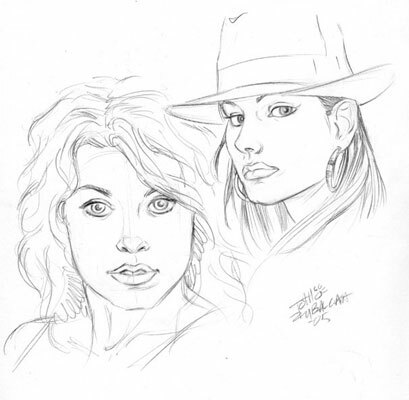 I haven’t gotten any bids on the “Jungle Girl” piece (Come on folks, it’s for a good cause! See previous post. 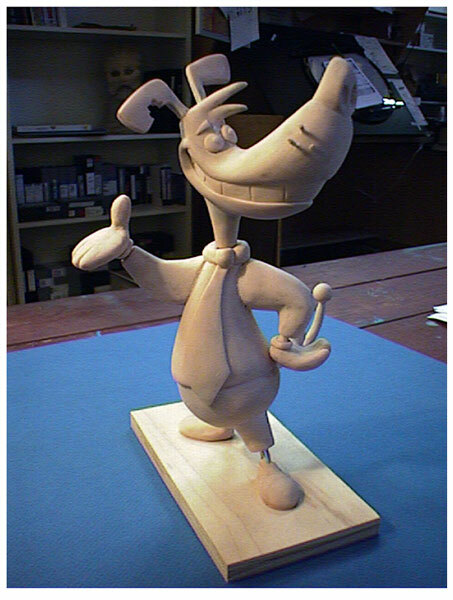 ), BUT we just got exciting news that the “Moxy” sculpt was sold to John Stevenson of Dreamworks, the designer and puppeteer of the live motion-capture character, back when we worked together at Colossal Pictures during the 1990’s. Way to go, John! Proceeds will go to the Alzheimer’s Assoc. I recently had email correspondence with Mahesh Bhat, a gracious and friendly fellow who has an ongoing blog publication ‘KalaaLog’. The site is devoted to digital art, with tutorials and other helpful tips and resources. He asked if I would mind being interviewed and published in this insightful and well-executed site. I humbly agreed and I thought I would share it and the contents of Mr. Bhat’s publications. Thanks for a pleasant opportunity, Mahesh! Here is a series of beautiful faces of random girls I’ve come across in print and on the web. 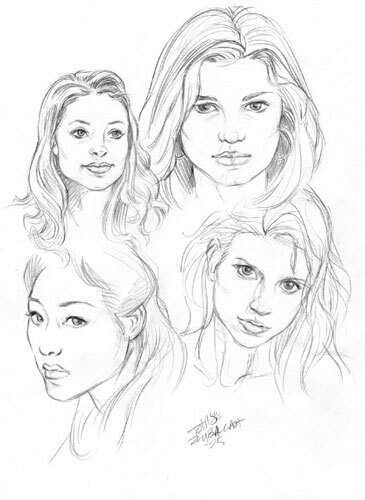 The sketches were done in pencil for the most part and done as quickly as I could without destroying the beauty of the girls’ features, ranging from just a few minutes to 15 minutes. I’ll be doing more of these, as I feel it to be a good exercise for me from time to time. It is KalaaLog and its readers that is grateful, Tom. 🙂 Thanks! And the girls. Wohoo. 😛 Who does not love drawings of beautiful girls? And that too, a geek like me! 😛 Love them all. Ah, yes I just noticed the second “L” is uppercase, it has been corrected. Each one varies in drawing time — maybe 10 to 20 minutes. 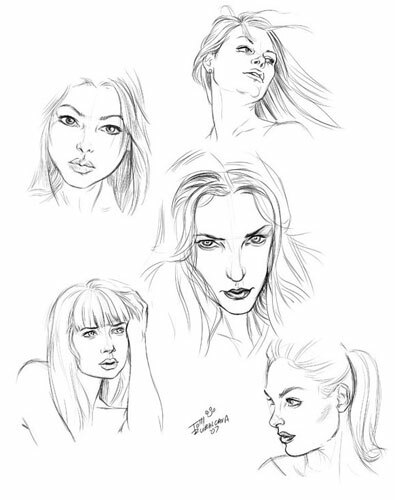 The groupings of girl faces are equivalent to about an hour or so of sketching. Thank you, RIGO. The drawings take 10-20 minutes each.